In need of a new website? If you want to go down the DIY route then read on, because we’ve got some tips you definitely don’t want to miss out on! Firstly, your website platform – it’s no secret that we favour WordPress, which is a great tool to help you create your website. It offers a wide range of themes that you can use to create a beautiful website and it allows you to customise just about every aspect of your site. Want to know more about WordPress? Check out our recent blogs here and here. Drag and drop page builders are widely available as plugins and are built into many popular themes. They make it possible for users of all levels to make changes to the general layout of a theme, and it can make adding those extra flourishes super easy. Here we will help you decide which page builder best suits your needs – so let’s get started! 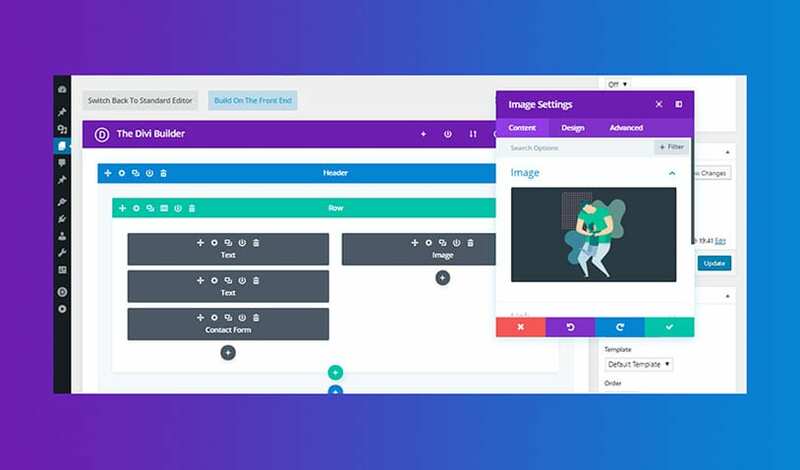 Beaver Builder is a premium drag and drop WordPress page builder, and with over 500,000 WordPress websites built using it there’s little doubt that this is a reliable page builder. Takes a while to load when you click on to the next action – that constant loading can get very annoying. Both of these interfaces allow you to build the same exact aspects of a website, the only difference is the interface and how they are presented. Divi is embedded inside the WordPress user interface, so it’s fantastic for making small and quick changes while you are in the dashboard. Features advanced layouts without any experience using codes needed. If you disable the plugin your layout will stop working. Switching to a different theme will make your website look crazy – it’ll be swamped with shortcodes, making your site virtually unreadable. That’s a problem, a huge one (unless you are happy to stick with the same page builder for the duration of your website). Incompatibility with some of WordPress plugins. Visual Composer is a powerful plugin that lets you create complex page layouts without the need to be a coding guru. It’s a simple WordPress drag and drop plugin that will help you get your website iup and running quickly – with all the power, speed, and freedom you deserve. There are plenty of page builder plugins available but there you have our rundown on 3 of the most popular. These WordPress page builder plugins all let you create, edit and customise your site layout without the need to muddy the waters by getting into the back end code. And because they’re all drag and drop, they can improve your productivity and save you money in the long run.